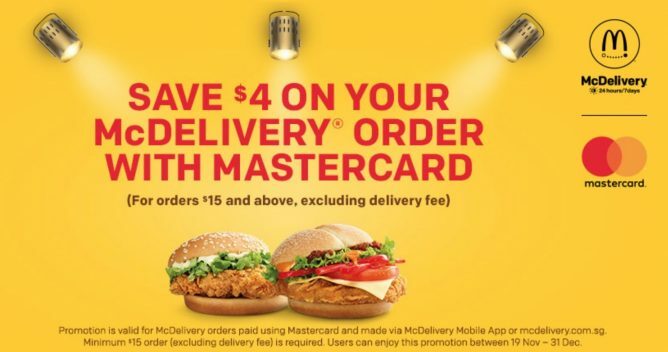 Home > Dining and Gourmet > Fast Food > McDonald’s: Save $4 On McDelivery When You Pay By MasterCard! - This promotion is valid for McDelivery® orders paid using Mastercard® and made via McDelivery® Mobile App or mcdelivery.com.sg. - Minimum $15 order (excluding delivery fee) is required. - Users can enjoy this promotion between 19 Nov - 31 Dec.